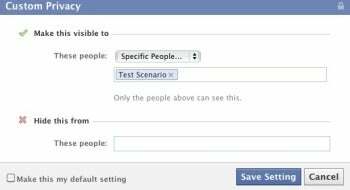 Organizing your circle of friends on Facebook is becoming easier. A new site called Circle Hack uses a drag-and-drop format similar to Circles on Google+ that lets you organize your Facebook friends into lists quickly and easily. Four Facebook engineers built the site, though it is not an official Facebook product, according to TechCrunch. The new site does a pretty fair imitation of the Google+ Circles feature. Like Circles, the page is divided into two parts. Up top are all your Facebook friends represented by their name and profile picture on a contact card. Below your friends is the area where you create new circles. Each section has its own scroll bar and you can even resize each section by clicking on the dividing line between the two areas. Log in to your Facebook account and authorize the site just like you would any other Facebook application. Then just start dragging your friends into the circles below. You can organize people individually or you can select multiple people at once. Circle Hack even includes a similar paperclip graphic to Google+ that shows how many people you're dragging into the current circle. Once you have a circle organized click on the "Create list" link that appears in the center of your new circle to name it. After that, you're done and the next time you open Facebook, you'll see the newly created list as an option in the "Friends" section and in your privacy settings. There are some limitations you should know about. Circle Hack does not let you delete a friend list and you cannot remove someone from a list once you've added them. To do that you'll have to open Facebook and edit your new lists there. The official way to organize your Facebook friends into smaller lists is a little bit harder to use than Circle Hack. You have to click the "Friends" icon in the left hand column of your Facebook home page. Then click on "Manage Friend List" and then on the next page click on "Create a List." In the next pop-up window, you start clicking on your friends' names to add them to your new list. Whether you use Facebook's official friends lists method or Circle Hack, to get them to actually be useful you have to either customize your privacy settings or your privacy controls for each individual post. This part Circle Hack can't help you with. Let's say you wanted to restrict a post so that only your new Facebook friends list could see it. To start, you have to click on the lock icon below your News Feed's text entry box and select "Custom" from the drop down menu. In the next pop-up window you have two choices: "Make this visible to" and "Hide this from." If you want to share something with only your specific list then you'd select "Specific people" under the "Make this visible to" section and then type in the name of your new list and hit "Save Setting." This is a one-time change, but if you plan to only share with a specific list or a specific set of lists you can check the "Make this my default setting" box in the lower left corner. The other way to manage your friend lists is to click on "Account" in the upper right corner of your Facebook home page and select "Privacy Settings." Then click on "Customize settings" and in the next window you can select a variety of share options for things such as your wall posts, check ins, photos, email address and so on. You manage these settings pretty much the same way as a wall post. Just click on the drop-down menu, select "Customize" and in the next window decide on the people you want to make this content visible to and the people you want to hide it from. Facebook's friends lists aren't as easy to use as Google+'s Circles, but Circle Hack takes a little bit of the pain out of organizing your Facebook friends. Give it a try, but just remember Circle Hack appears to be more of a fun application than an industrial-strength Facebook tool.